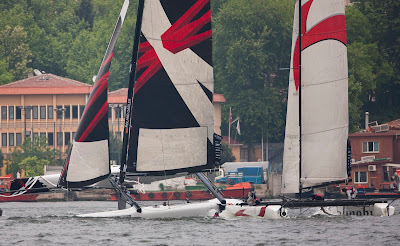 In Alinghi misjudged their approach at the top mark and rammed into Team Extreme in the fourth race of the day in what was a classic port/starboard incident. Alinghi tried to bear away behind Team Extreme but didn't make it and instead accelerated into the stern of Roland Gaebler’s (Germany) Team Extreme hurling crew into the water. Alinghi's Yves Detrey sustained an arm injury and was taken ashore. 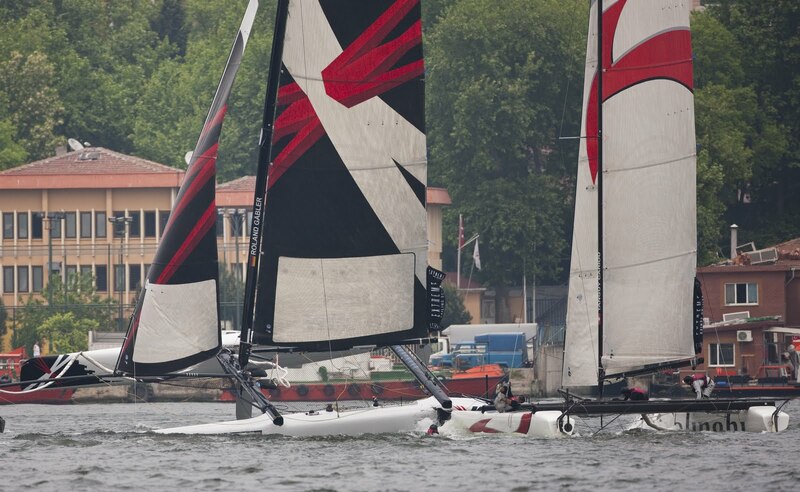 “We started the day under pressure after two bad races,” said Alinghi's Skipper Tanguy Cariou. 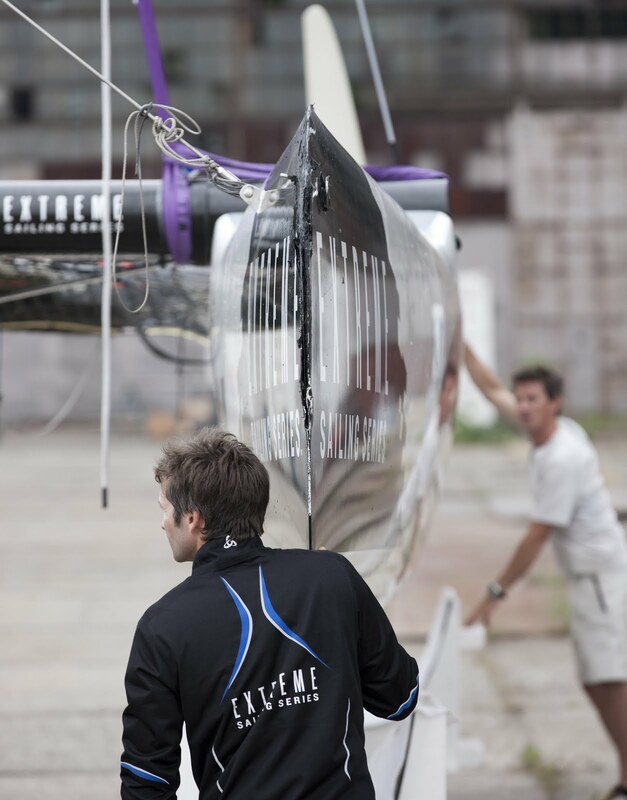 Both yachts are expected back on the start line tomorrow. 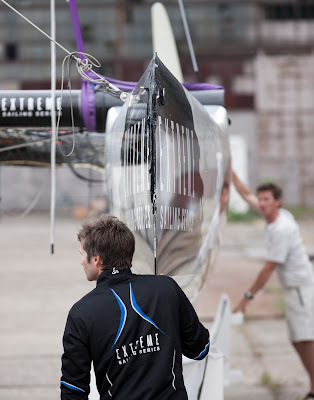 With a big gash in the port hull, Team Extreme was kept afloat by a support RIB before being towed to the technical area and craned out. 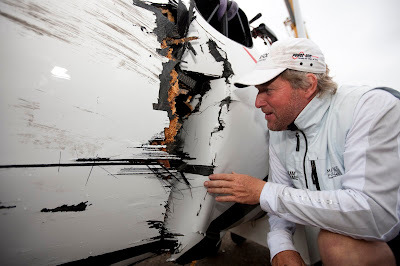 Both Alinghi, with bowsprit damage, and Team Extreme were out of the game for the rest of the day. A busy night lays ahead for the support teams in order to get the boats repaired and back racing tomorrow. 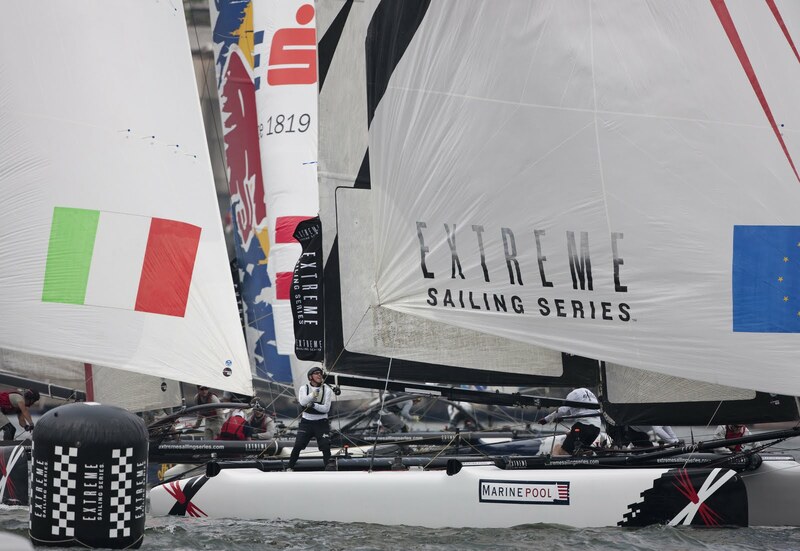 There was plenty of bump and grind during the nine races today held in the Stadium Sailing format. Alinghi copped a blow at the start of the first race by Emirates Team New Zealand (not their fault) and again by Artemis Racing (their fault). Artemis Racing were leading this morning but after losing and regaining the lead several times, they are now in second place behind France’s Groupe Edmond de Rothschild who ut in a strong performance with two firsts and two second places followed by Team New Zealand in third. 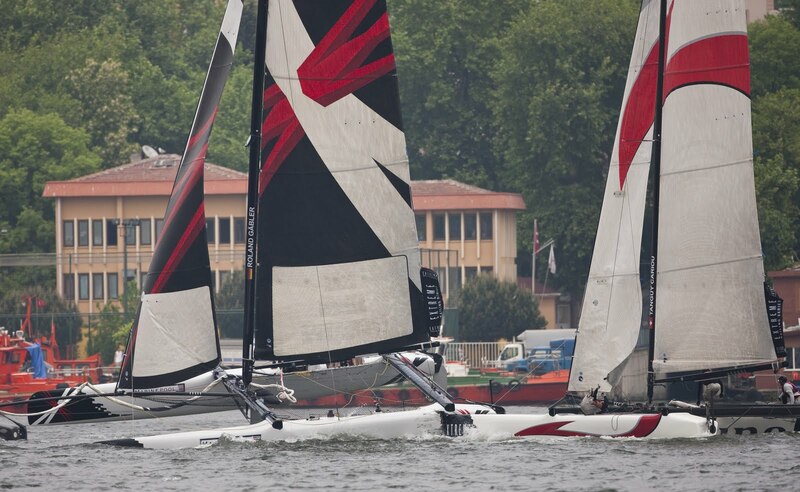 “Each day is like a regatta, if you’re in the top four at the end of the day then you have a chance of winning,” said Ray Davies, Emirates Team New Zealand Coach.